The business of selling firearms continues to boom, literally. Gun enthusiasts like to say that President Obama has been their best salesman. Whether he deserves the credit or not, a new report from the National Shooting Sports Foundation says the economic impact of the industry has increased 158% since 2008, the year he was elected. 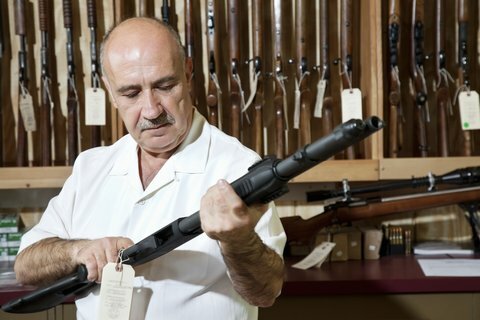 The total value of economic activity related to firearms and ammunition in the United States jumped from $19.1 billion in 2008 to $49.3 billion in 2015. The total number of full time jobs in the industry rose from 166,000 to 288,000, a 73 percent increase. The firearms industry has been a rare bright spot in an otherwise lackluster economy. In just the last two years an additional 21,000 jobs have been added, paying an average of $50,000. The industry’s federal tax payments have increased by 144 percent, and Pittman-Robertson excise taxes that support wildlife conservation have grown 92 percent. The full NSSF report can be downloaded, and provides a state-by-state break-out of job numbers and wages. The National Shooting Sports Foundation is the firearms industry’s trade association, with a membership of more than 13,000 manufacturers, distributors, firearms retailers, shooting ranges and sportsmen’s organizations.